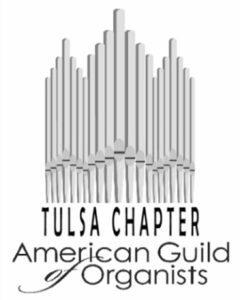 Welcome to the Tulsa Chapter of the American Guild of Organists. Whether you are an amateur or professional organist in the area, or simply a lover of music and the pipe organ in church and concert hall, we invite you to explore our website, where you can find information about upcoming programs and events and information about Tulsa area organs. If you are interested in learning more about joining or supporting the Guild, please click here.